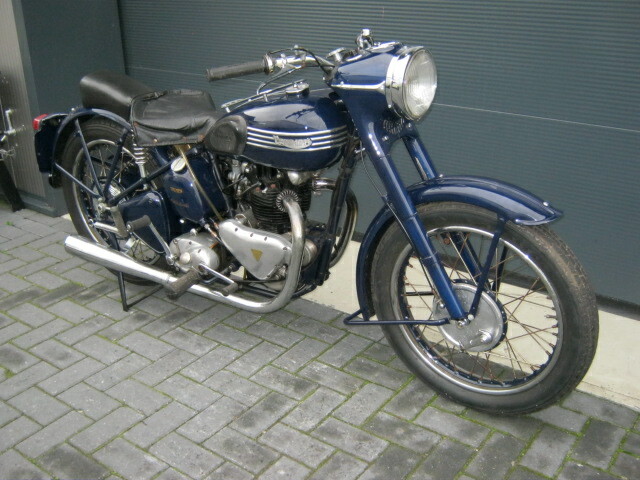 Nice older restauration this Triumph 3T from 1950. Rides and runs well, but has been standing for a long time. Engine- and framenumbers are matching and the Triumph has a Dutch registration. 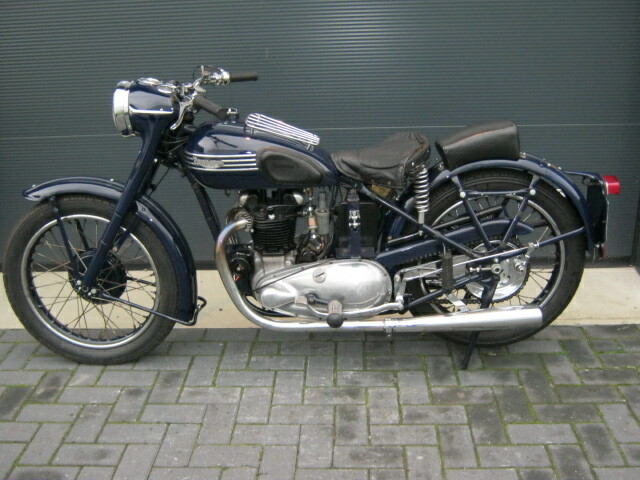 Blue colour is original as this 3T was delivered in a serie of 10 to the Amsterdam police.